About three months after Elizabeth gave birth to John, the emperor, Caesar Augustus sent out a decree that he was taking a census, and everyone needed to go to their ancestral territory to be registered. (Luke 2:1-2) Caesar Augustus was the kind of man who liked to have everything controlled and orderly. He could very likely have used this registration for many purposes, not least of which was taxation. So, Joseph, being a descendant of David, had to go to Bethlehem to register. (Luke 2:3-5) It is not clear whether Mary had to register separately or not. It is possible that Joseph could have registered for both of them, but there are probably several other reasons why Mary accompanied him on his journey, even though it would have been long (a little longer than three marathons) and arduous (through hilly countryside and rough terrain). Mary may not have wanted to be alone at this late stage in her pregnancy, she may have wanted to avoid the risks of public scorn for being in her condition before her wedding ceremony, but I think there is another reason too. Mary knew that she was carrying the Messiah, and she knew that it would soon be time to deliver Him. She also knew that the prophet Micah had said that the Messiah would come out of Bethlehem. (Micah 5:2) Perhaps for that reason she knew that she had to go to Bethlehem with Joseph whether Caesar required it or not. The time came for her to have her baby, and there was no room in the inn. (Luke 2:6-7) I don’t know what your concept of an inn is, but mine is a lovely big, perhaps Victorian, home with lots of rooms. That was certainly not the case for Mary and Joseph. More likely it was an open, walled area that would provide a safe resting spot for animals and people, and would have a well to provide water for them. And it was full. So they had to find somewhere else. It is very likely that they found a cave that was used to corral and shelter animals. We don’t know that there were any animals there at the time of the birth, because the Bible doesn’t specify, but we do know that there was a feeding trough, which would have been the best place in that situation to lay an infant. 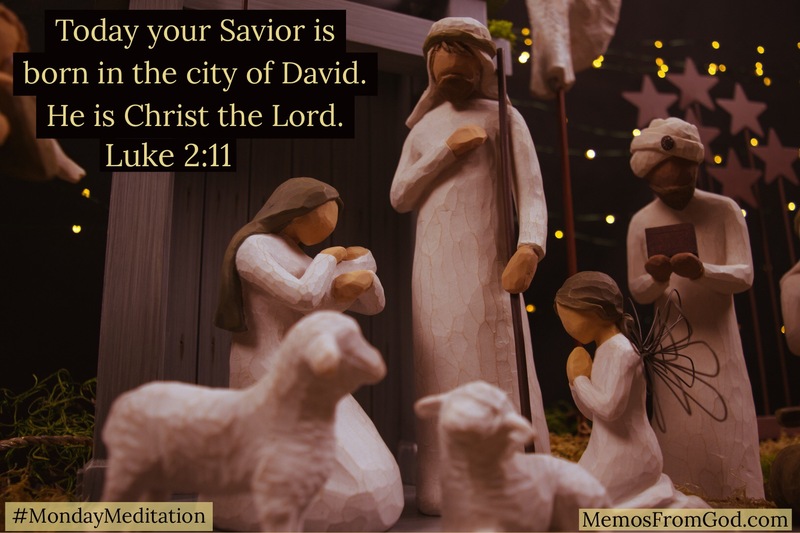 Unlike most Christmas plays that you have seen over the years, the manger was probably made of stone, and it would have been left in the cave whether animals were there or not. Mary wrapped her baby in strips of cloth to protect Him, and to keep Him warm and comforted. That is pretty common practice even today for babies who have just left the safety of their mother’s womb. 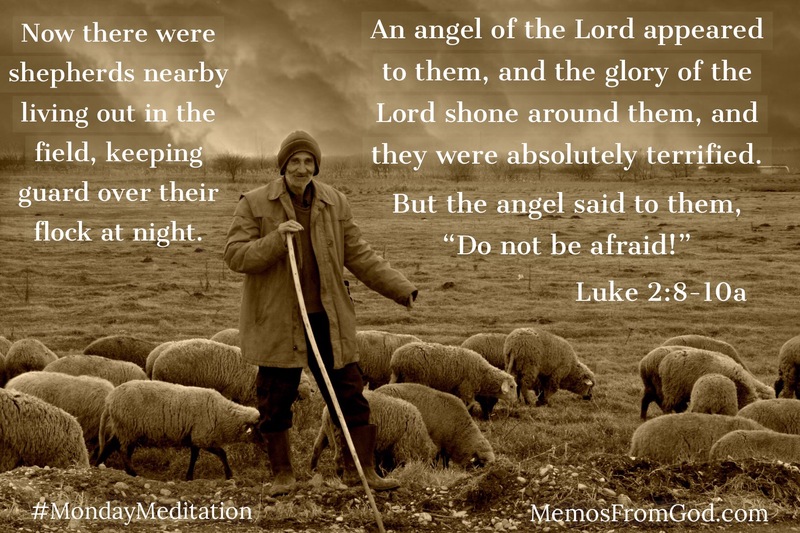 But Mary treasured up all these things and pondered them in her heart, and the shepherds went on their way praising God because everything was just as they had been told. (Luke 2:19-20) Remember that the purpose of Luke’s recording these events was to show his readers that what they had been taught is true. Just as it was their choice, it is also our choice whether or not to believe. I’m not sure exactly when or why it happened, but somehow since the time I was young an overarching societal attitude has changed. So many people today have a feeling of entitlement. I deserve…. Neither Mary nor Elizabeth felt that way. Both wondered why God had chosen them to fulfill such an important part of His plan. (Luke 1:43, Luke 1:52) They wondered what they had done to deserve such blessing, and they both came to the same conclusion. They had done nothing to deserve the honour that God was giving to them. It was all a gift of His grace. 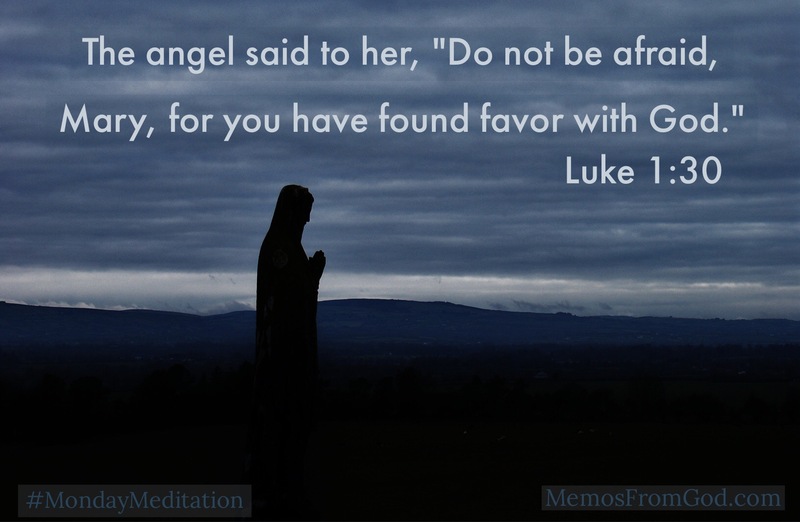 When the angel Gabriel came to Mary to give her the news that she would give birth to God’s son, he also told her that her relative Elizabeth was going to give birth in her old age. (Luke 1:36) So Mary’s first priority became to go and see Elizabeth. We are told that she went hurriedly. She was doing the journey on foot though, and we know that she was going into the hill country, so it wouldn’t have been an easy stroll. It has been estimated to have taken three days. We are not given the reason why Mary went to Elizabeth right away, but I suspect that she was bursting to talk to someone about all that had just happened to her, and since she got news about Elizabeth from Gabriel, she knew that Elizabeth would understand and would share in her joy. Keep in mind that once Mary’s condition was obvious, there would be a lot of unjoyful reactions towards her. Talking things over with Elizabeth would certainly be a much more pleasant experience. Mary, Elizabeth and Zechariah were not joyful because they had received blessings that they felt they deserved, and were getting what they were rightfully due. They were joyful because God had kept His promises, blessed them, and made them each an integral part of His plan. That’s joy worth sharing! In last week’s post we learned about Gabriel’s visit to Zechariah. (Luke 1:5-25) Six months after Zechariah’s wife, Elizabeth, conceived the baby who would become the forerunner of Christ (Malachi 3:1), Gabriel visited a young girl named Mary. (Luke 1:26-38) We don’t know exactly how old Mary was, but we can be certain that she was very young. We know that she would have been at least 12 years old, the age at which a young woman could be betrothed, but probably not much older. It was customary that a young woman would be promised in marriage after her twelfth birthday, according to an arrangement made between the bride’s father and a representative from the groom’s family. At the time of betrothal, a price for the bride would be agreed upon and paid, and the agreement would be binding from that point. The wedding ceremony would take place one year after the betrothal, and until then the bride would continue to live in her father’s household. During that time the bride would be expected to prove her virtue. If she did not remain pure until the wedding day (and afterwards for that matter) she would likely be stoned to death. (Deuteronomy 22:20,21) In any case, the only way to break the betrothal promise was through divorce. It was a much more committed stage in the marital relationship than engagements of today. So when Gabriel visited Mary before her wedding day and told her that she was going to give birth to a son, she would very possibly have been under the age of 13, and would have, as Luke tells us, never been intimate with a man. (Luke 1:34) Naturally she would wonder how what Gabriel was predicting could happen. Although she had been frightened when the angel first appeared, she had recovered enough by this point to ask. Note that, unlike Zechariah, she did not doubt that it could happen or would happen; she was just curious about how. So Gabriel told her that the baby would be conceived by the Holy Spirit. Imagine all the things that may have been going through Mary’s mind. Her people had been expecting the Messiah for centuries, but they didn’t know when He would appear, or how, and it had been four hundred years since a prophet had spoken. Now an angel (an angel!) has appeared to her, to tell her that she would be used by God to bring the Messiah into the world. Why would God choose her? I believe that God chose her because she was devoted, available and willing. Her response to Gabriel: Yes. I am here to do what God wants. Let it happen as God wishes it to. (my paraphrase of Luke 1:38) Mary knew that becoming pregnant before her wedding day was going to create problems for her with her people, but she trusted God, and God used her to bring Jesus to Earth to be the Saviour for all of us. This chronology begins, not with Jesus, but with Zechariah and Elizabeth (Luke 1:5-25), the couple who would become the parents of John the Baptizer. One day, Zechariah, a priest, was chosen by lot to burn incense in the holy place inside the temple. This was not a place with public access. Only priests who were chosen, and when they were chosen, could enter. Because of the number of priests and the schedule that was followed for serving in the temple, it was unlikely that a priest would have this privilege more than once in a lifetime. Theoretically, if it is a lottery, anyone has the chance to win, but if you believe that God is in control of the universe, you know that He makes the choice. (Proverbs 16:33) This day He chose Zechariah because He had a message for him. God sent His angel Gabriel to give him the news that Elizabeth would have a son. Zechariah had trouble believing this because physically they were well past the point of childbearing. Zechariah should have known better because, after all, he would have been well acquainted with how God had provided a child for Sarah, (Genesis 11:30, Genesis 17:19, Genesis 17:21, Genesis 21:2) Rebekah (Genesis 25:21) Rachel (Genesis 29:31, Genesis 30:22) Manoah’s wife--the mother of Samson (Judges 13:2-3) and Hannah--the mother of Samuel. (I Samuel 1:2, I Samuel 1:20) Don’t be too hard on Zechariah though. Can you imagine how his mind must have been swimming with all that had happened that day? Nevertheless, Gabriel took away Zechariah’s ability to speak. This served not only as a punishment for his lack of faith, but also as the sign he had asked for in Luke 1:18. Surely it would remind him that God was all-powerful. Zechariah, like Elizabeth, would have felt the disgrace of childlessness. It would have been a well-known fact to the people around him. So when he didn’t come out of the temple in a reasonable amount of time, there was quite possibly speculation that God had struck him down for his sin. Perhaps this is why Luke takes pains to assure us that both Zechariah and Elizabeth were righteous in the sight of God. (Luke 1:6) But the people weren’t aware of all that at the time. They only knew that Zechariah was a long time coming back. What were they to do? Having permission to enter the inner sanctum of the temple was not a common thing. They couldn’t just go in and check on him. I can just imagine what the chatter was like after they finished their prayers and they were still waiting. When he did emerge, though, and couldn’t speak, the people started to realize that something pretty spectacular must have happened. I wonder how much they understood from the signs that Zechariah gave them. I wonder too, if Elizabeth had trouble figuring it all out after Zechariah came home. Luke doesn’t tell us about their interaction, but we do know that Zechariah couldn’t speak until eight days after the baby was born (Luke 1:59-64), and we know that it was “after some time” (Luke 1:24) that Elizabeth became pregnant. Was that enough time for the people to have moved past this unusual episode on to something else? Was it enough time for Zechariah and Elizabeth to begin to doubt again? We don’t know for sure. Once Elizabeth did conceive, she kept herself in seclusion for five months. I know women today who have had trouble conceiving, and even if they haven’t, they often wait three months before sharing the news. Perhaps, Elizabeth wanted to keep it quiet until she was sure. Perhaps she just wanted to be careful. We don’t have all the details, but of this we can be certain: God had not forgotten His promises to the people of Israel (Malachi 3:1, Malachi 4:5-6, Luke 1:13-16), and He had the power to fulfill them. He still does.